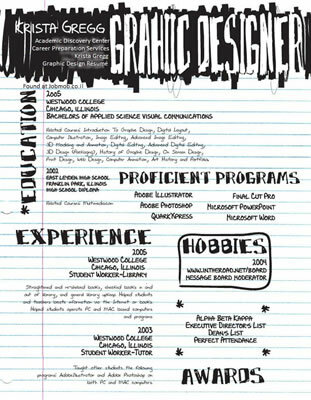 A resume documents an applicants background information, education history, and work experience. A resume is the first point of contact between an employer and a job applicant. A resume is where the employer essentially finds out all about the candidate. However, it is estimated that the recruiter spends about 10 to 12 seconds on each resume, and deciding then and there whether the candidate should be interviewed or not. Your resume should be able to impress the recruiter within those 10 seconds, or you’ve missed your chance. So, what should you include in a resume to ensure that it pops? Social Media: Most hiring managers these days go through your Facebook, Twitter or LinkedIn to get to know who they may be hiring. So, cut to the chase and include the links to your social media profiles. This way, they know you have nothing to hide and this eliminates the chance that the manager might confuse somebody else’s profile for yours. However, ensure that your profile is clean and that there are no embarrassing post by you or your friends that you wouldn’t want your future boss to see. Travel or Study Abroad: While it may seem frivolous to add your past travels or study abroad on a resume, it shows to the employer that you have world experience; that you are a person, and not just a suit. Traveling abroad may actually indicate that the candidate is not afraid to leave their comfort zone, are aware and independent, and have worked in unfamiliar situations with unfamiliar groups. Side projects: Mention any side venture, side business or project that could be applicable to the job. This indicates that the applicant is willing to learn and put it time to grow or acquire new skills. Past failures: While it may seen counter-intuitive, listing your past failures shows that you failed but you did not give and are still wiling to try again. This says a lot about a person’s personality, plus most companies prefer a doer, who is not afraid of taking risks. Small and or entry-level jobs: While it may seem that these jobs are trivial, the entry-level jobs speak of character, and show that you are not afraid of slogging it out. Also, entry-level jobs often teach us basic corporate skills, such as working as a team, meeting goals and objectives, etc. Awards or recognition: This may seem as boasting, but then again you deserve to. Listing your awards or recognition shows that not only did you excel in something, but you were recognized in that. Sports and hobbies: Sports and hobbies often require dedication and training, often learning new skills. This shows that you are willing to learn and to do more that you are just required to, which is always a good thing. Think of anything else that you think will improve your chances, go for it; include it in your resume. You’ll be surprised what the hiring manager might resonate with; also it will highlight your uniqueness, and show that you are unafraid of taking risks.